With 39 percent of households in the United States owning at least one dog, what better way to earn money than to have a fundraising event that will interest dog owners and their four-legged friends? Pet owners love to have fun and show off their dogs, and when there is a fundraiser in the area, this gives them the opportunity to do just that. So, gather up your friends and get ready to host your next fundraiser in true doggy fashion. Here are three fundraiser ideas for you to consider. Have any more to suggest? Comment below! 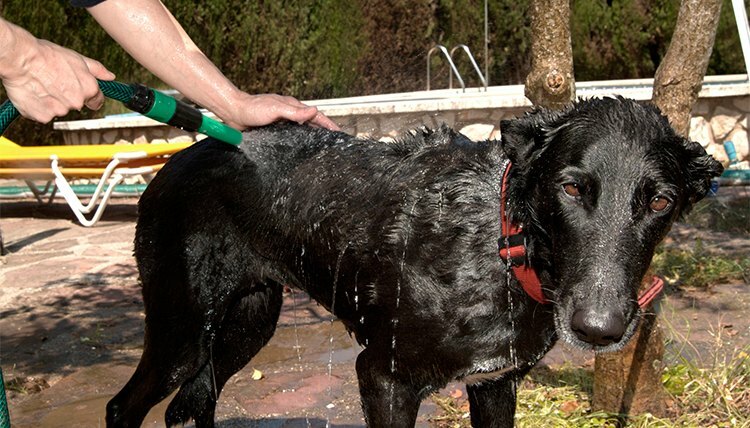 A dog wash fundraiser is best held in a warm season like spring or fall. Gather some hoses, buckets, pet shampoo and towels and find a location with water sources to hook hoses to. Post fliers in gas stations or laundromats, veterinarian clinics and pet stores advertising your event. On event day, have members of your group hold signs in a high-traffic area to draw in more business. Charge a set amount, such as $5 per wash, or simply ask for donations. Make sure to break your group into teams so that each dog can be thoroughly washed and dried. Offer a pet treat to each dog after his bath and a thank-you card to his owner with more information about your organization or cause. Another fun way to raise money for your organization is to host a Doggy Walk-a-Thon. A local park makes a great place for dogs and owners to meet for the event. Post fliers in local businesses or post an inexpensive ad in your local newspaper advertising your event. Have pet owners pay a set fee for each dog walking in the event, charging a higher fee for registrants on the day of the event. For example, you may want to charge $5 for pre-registered dogs and $10 for dogs who join the walk on event day. Offer a refreshment table where pet owners can purchase items such as water or snacks for themselves or their dog. This will add additional funding to your cause. Halloween is a great time to host a doggy costume contest. This can be fun for both dogs and their owners. Encourage pets and owners to dress in their favorite costumes. Charge a set fee for each dog and pet owner who participates. Go to local businesses and ask for donations of items or gift cards that can be given out for "Best costume," "Prettiest costume," "Scariest costume" and so on. You might also want to give out awards for duet costumes that are theme-related, such as an owner dressed like Batman and his dog dressed like Robin. Offer to take pictures of owners and their pets for an additional charge. As an aspiring writer pursuing a career in journalism at San Antonio College, Tami Hand has written several articles about homeschooling, as well as numerous career- and health-based articles.